3rd year for charity golf day. VR Sani-Co yet again pulled off another successful charity golf day! 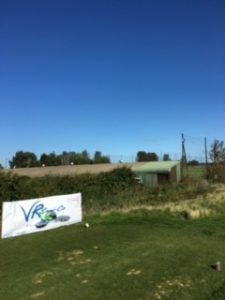 VR’s charity golf day went off with yet another bang this year! 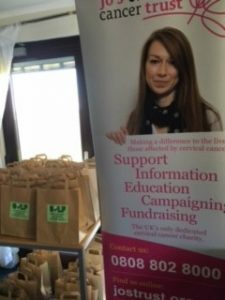 This has been the 3rd year we have held our annual golf day, raising funds and more importantly awareness for Jo’s Cervical Cancer Trust! 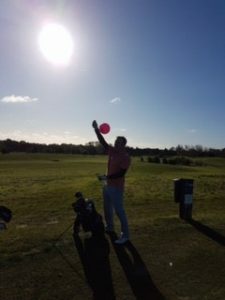 https://www.jostrust.org.uk/ Every year Stonelees Golf Centre has provided us with fantastic service, food, golf and most importantly sunshine. 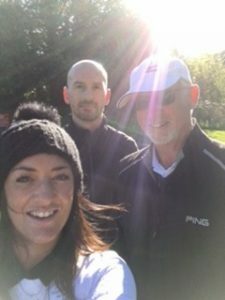 The sun was shining as the first team “Where’s Nick” (jokingly named as Nick from Gooey Digital was found hiding in the bushes for parts of the rounds) teed off! And the sun never set throughout the day! The day was enjoyed by 37 golfers, all battling it out round 2 courses for the prizes and their pride. The Jo’s Trust balloons used as a mulligan was yet again another hit this year – I mean who doesn’t need that extra shot every now and then. It’s always fun to see the familiar pink balloons flying high in the sky above the course. New for 2017 was the Power Play on the Heights course. This was popular with all the golfers due to there being 2 flags on the tee and there being a chance for double points if you were brave enough to go for the “Power Play” flag. Usually located at the edge of the bunker or at the top of the green’s slope! Once all golfers were in there was yet again more chances for prizes. “You’ve got to be in it to win” games included a challenge of nearest the pin with the fantastic pro Gary Bason within the simulator. Then a chance to sink the ball in the hole in the putting competition. Lunch then followed with delicious burgers and chips and many had a well deserved glass or 2. Everyone was on the edge of their seats all hoping to win a prize in the raffle. Most were donated by some fantastic fellow local businesses and/or customers. 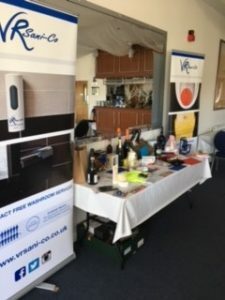 Including tickets for fireworks and matches from Kent County Cricket Club, Free family swims from Active Life, Cinema tickets, Leeds castle tickets, Rare Breeds Centre tickets, bottles of wine from Beer Brothers in Herne Bay and a sealed bid auction then followed for a chance to bid and win a full membership for Stonelees. A very generous donation which raised good money for the charity. 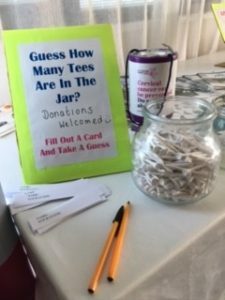 All the above raised a grand total of £1238.40 for Jo’s Cervical Cancer Trust. It was also a chance for VR’s Jo to speak about the charity and the amazing things they offer to women, their families and friends who are effected by cervical cancer. Every year I am reminded at how generous people are with their time and their money and in addition how generous fellow companies can be. We also had sponsorship for holes from Oyster financial Solutions http://www.oysterfinancialsolutions.co.uk/ based in Herne Bay as well as TLC Decorators and Practical Car and Van Hire. We are already booked in for October next year at Stonelees Golf Club and the planning is already commencing. We want to break through the £2000 mark and with how generous people are I bet we can do it – so watch this space. A huge thank you again for all that came, helped, donated and popped their hands in their pockets. We couldn’t do it without you. Not only are VR Sani-Co super grateful as are the charity, Jo’s Cervical Cancer Trust, for every single penny and for every single ear that took the time to listen to what amazing work they do.